Do you need to worry about optimizing for voice search queries? I think every future focused marketer does. Below I’ll cover the rapid growth of people using voice search and walk through how you can get started with your own strategy for capturing people searching via using their voice. Just four short years ago, the state of voice search indicated that 55% of teenagers and 45% of adults used voice search daily. This was in a study from 2014 before the advent of Alexa and Google Home became the go-to holiday gift for the tech-adoring American family. These percentages have certainly gone up. Today, according to a Consumer Electronics Report published on January 9, 2018, over half of those who own a voice assistant use it every single day. 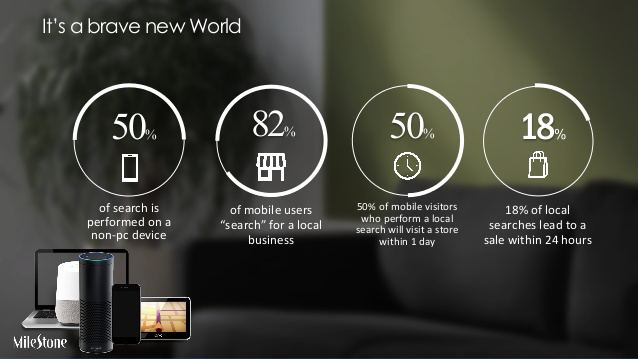 Moreover, 22% of users surveyed said they make purchases with voice commands. What was the future prediction for voice search in 2016? 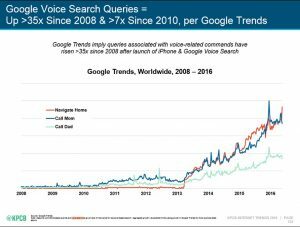 Mary Meeker predicted that by 2020, 50% of all searches would be made by voice. It appears that she was onto something. Her hypothesis was that with an error rate (at the time) of only 8%, humans speak at a rate of 150 words per minute vs. an average typing speed of 40 words per minute, search was going to get better, be more efficient, and start to understand variances in human speech (like accent, dialect, and post-dental anesthetic mumblings). Based on the TV ad spend over the holidays for home devices with voice recognition built in I think Mary Meeker undershot her prediction by guessing only half by 2020. Mary Meeker was closer than she thought, and it happened faster than she suspected. As of December 2017, the Pew Research Center concluded that 46% of US adults use apps that interact vocally with smartphones and other devices. That’s nearly two years ahead of Meeker’s predictions. With data collected just prior to the holiday rush (June-November 2017), Comscore reported 49% of households in the United States owned a smart speaker. 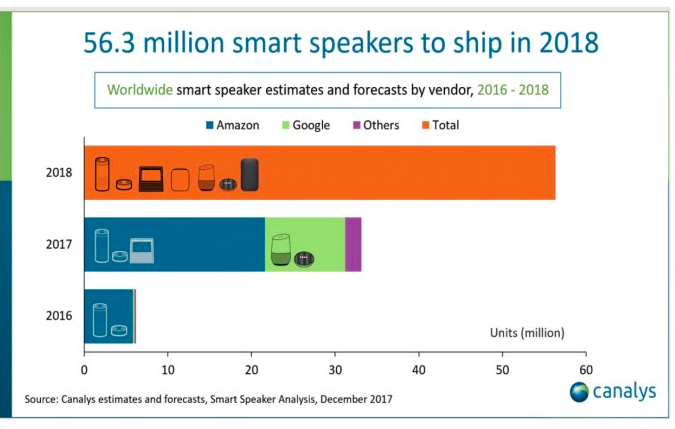 Smart speakers such as Alexa and Echo Dot are becoming major players in the voice search landscape Tulsaworld.com reported that sales of these speakers in the United States have leaped three-fold just this year. 25 million voice search speakers were sold in 2017. This trend is obviously not going away. As people become more accustomed to asking a Google or Alexa to help with tasks and search, the rules of the SEO game will most certainly evolve to keep up. And from a marketing perspective, it’s more personal to the user. In the latest version of the Google Search App for iOS and Android, the search ap can speak your answer right back to you. Google Home, one of the bigger players in the voice search and home assistant game will read featured snippets to the users if the query triggers one. It’s like Google endorsing your business. So if that doesn’t influence you to up your SEO game and earn a featured snippet, I’m not sure what will! Fast Company looked at exactly this discrepancy in search in an article published on January 5th, 2018. They posit based on new data released by Google this week that 41% of more than 1600 voice assistant users admitted that taking to these systems feel like they are talking to a friend, or at the very least, another human being. “People are engaging with their voice-activated speakers as if they were human,” Google wrote in a blog post about the research. “They’re saying ‘please,’ ‘thank-you,’ and even ‘sorry.’ People perceive the devices as more than just an electronic toy, they’re more akin to another person or friend. Can I just pay to have a voice search assistant/phone just read my ad? Unfortunately, no. Ads are currently *not* being served for voice queries. However, Google is thinking about it. Is your website ready? Does it load fast? 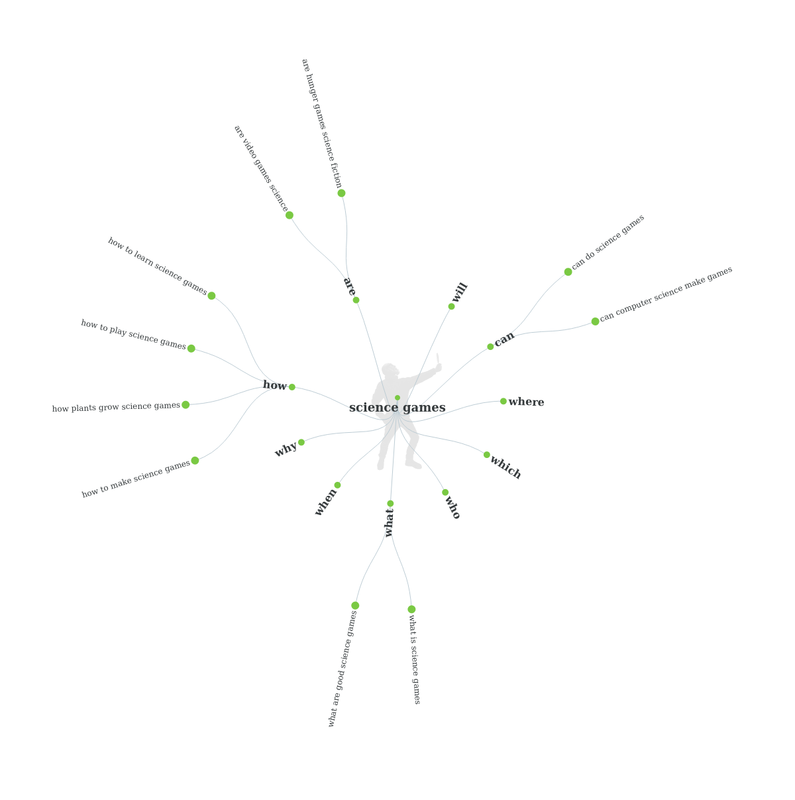 Do you have structured data in place? Have you selected keywords that are good candidates for voice search? Are you up to speed on how to structure your content to be considered for a Featured Snippet? (If not, there’s a great guide here). If your website is fast loading, mobile friendly, and you can easily add structured data markup then you’re ready to come up with a content plan. Listen to Google’s recent advice from a Webmaster Hangout about how to optimize for voice search snippets. Do I currently have content that is ranking as a Featured Snippet (or could?). 80% of Google voice “answers” are Featured Snippets (though not the ones with tables). New to featured snippets? Check out the great guide here. Am I currently seeing voice search queries? 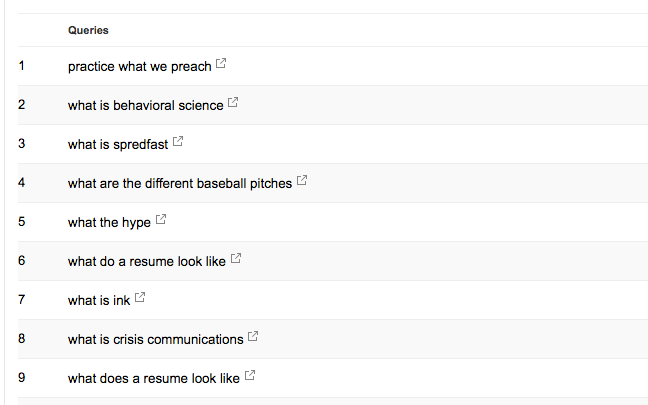 Look for voice search queries in your keyword research. Question words at the beginning of the keyword phrase are clear signs (who, what, when, where and how). Do some research with Answer the Public. Though Google is aware that SEOs want more visibility into voice search queries driving traffic to their sites – and want that data surfaced in Google Search Console. For the areas where you have voice search opportunity but are not already ranking, do have content you could leverage to answer those questions? Do you have an FAQ section of your website that you could easily leverage and optimize for voice search? Start editing pages that could potentially capture a voice search query. What questions should this particular page answer for visitors? Is it currently answering those questions? Not sure if the content you have matches the query? Does it make sense to do a quick review of how the Google Raters are being trained to assess the quality of the speech drive search results? Does it offer complete information? In other words, would someone return to the search results after checking this page? In what contexts do people search for a page like this? 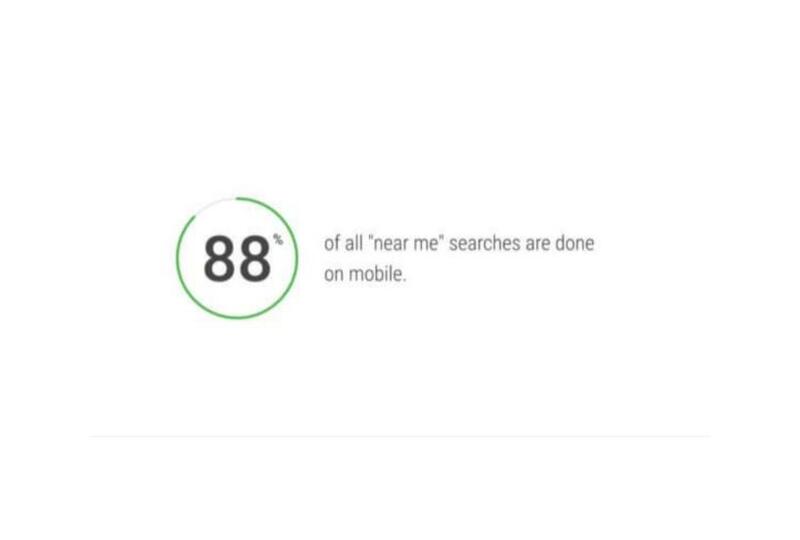 Is the page ready for mobile search? Is the content approachable and easy to read? What will it sound like if the content was read back to the user? If you’re a local business, take a look at marking up your data with actions as well – allowing your searchers to order or reserve via Google search. Make sure that your markup and associated page meets Google’s markup requirements and that the markup is accurate by testing it with the Structured Data Testing Tool. It seems like quite a bit of work, but I always encourage my clients to try to future proof their online marketing strategies, and based on your industry, that means you need to start planning for capturing voice search queries today.